I am a big fan of the TT-02. It's a versatile and fun chassis and it is also a popular beginners car for spec or club racing. 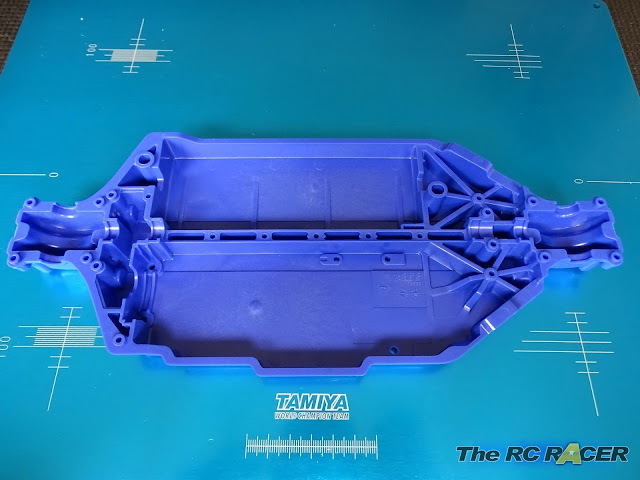 With that in mind Tamiya has just released a very important hop-up. A hard new lower deck in either white (Tamiya 47340) or blue (Tamiya 47339) to replace the kit plastic version. So let's take a closer look. 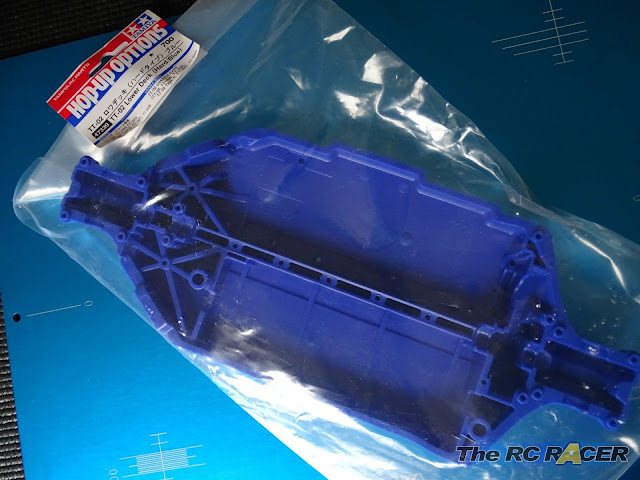 The Chassis is exactly the same mould as the kit chassis and the white std chassis (84426) which we looked at before. The difference is that the chassis is now made from ABS-GF (Glass fibre) which is much stronger than the standard ABS used in the basic used in the normal lower decks. With this in mind I tried to twist the chassis both width and lengthwise and the hard deck was considerably more resistant. With this extra strength thanks to the stronger material, it also gains a little weight. 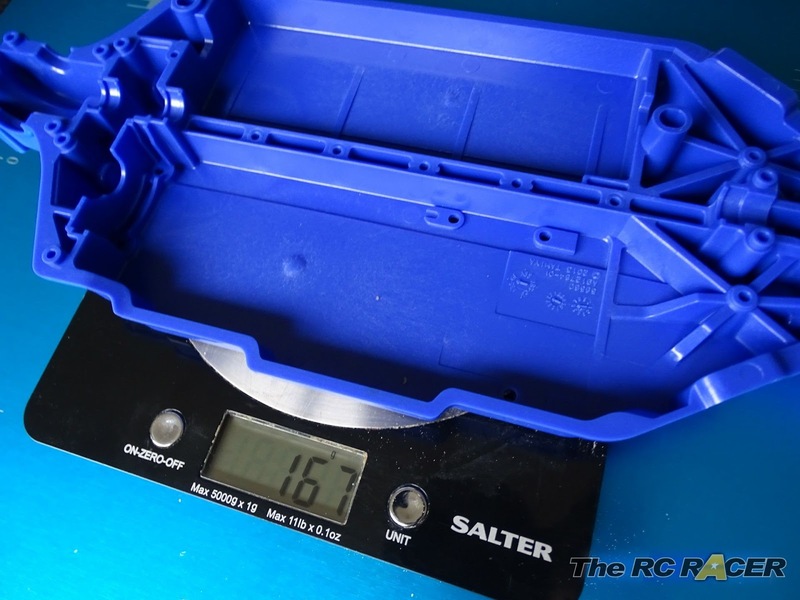 A standard ABS chassis weighs in at 159g and this new hard chassis is 8g heavier. That is not a lot more weight, and the TT-02 is quite a skinny car so sometimes you need to add some ballast. 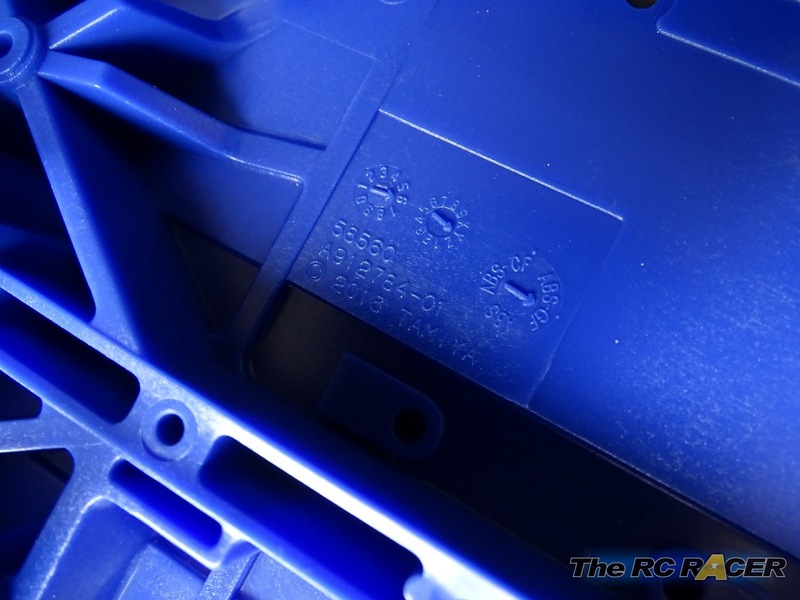 The 8g extra weight is at least along the bottom of the car, the best place to add weight. Installing the chassis is easy, the screws need a little more care as the plastic is much stiffer, however I had no issues other than a sore arm as I had to put in some elbow grease to attach all the screws. It was worth it though. The stiffer chassis helped the car feel much more responsive to direction changes. The strong core made the suspension work a little more and as you would expect it helped make the suspension settings make even more of a difference. I found that I could move the shocks in one more hole on the front tower and the car felt more precise as it at the front to make the car even more lively in the corner. The TT02-S felt great on the track and this chassis does help put it up a notch towards feeling like my TRF419X. This lower-deck is a great hop-up for anyone that wants to race or enhance the drifting ability of their TT02 car. The reduction of flex gives you a more precise handling car. This is a great thing for people who want to set-up their car, however it will be less 'Neutral' so you will find the car can be harder to drive until you get the right set-up. So beginners are still probably best to upgrade to this at a later date.